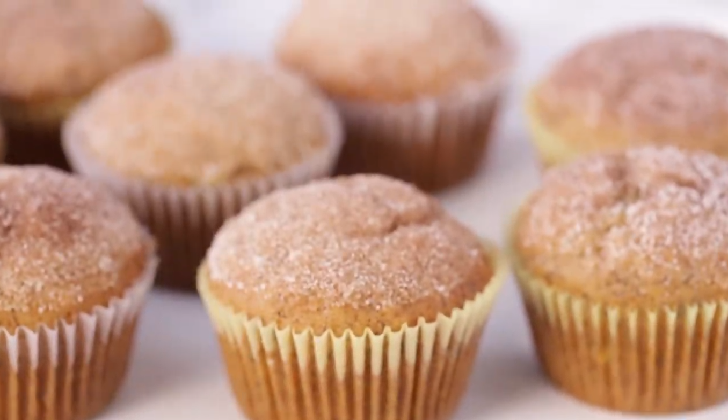 These Banana-Cinnamon Muffins will fly off your breakfast table! In a medium bowl, beat ²/₃ cup sugar, the oil, and eggs with wire whisk. Stir in bananas and vanilla. Stir in remaining muffin ingredients just until moistened. Divide batter evenly among muffin cups. In a small bowl, mix ¹/₄ cup sugar and ¹/₂ teaspoon cinnamon. Dip muffin tops into melted butter, then into cinnamon-sugar. Serve warm.